The River Runs Through It was completed in 2011. 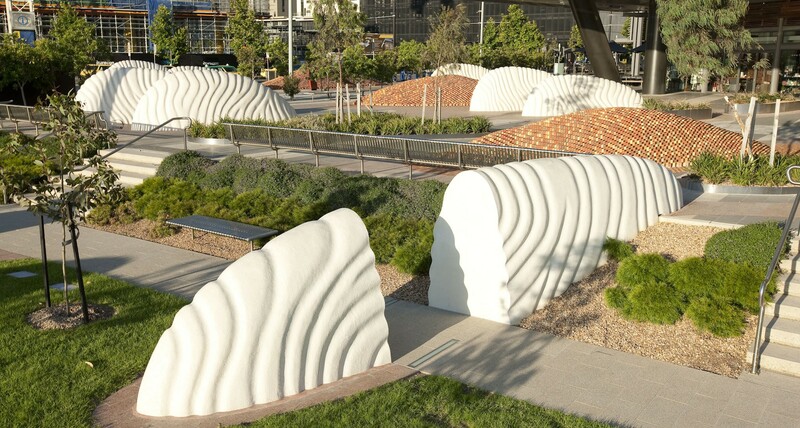 The project was commissioned by Vic Urban and developed collaboratively with Lend Lease. 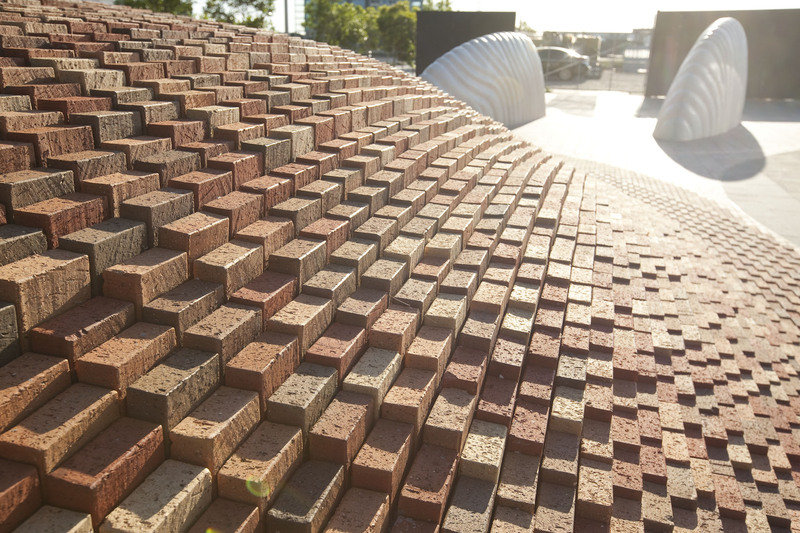 The installation is comprised of a ground plane ‘flow’ of shaped paving, 16 white pre cast concrete ‘wave’ forms, 5 brick ‘dunes’ and carefully placed planter forms. 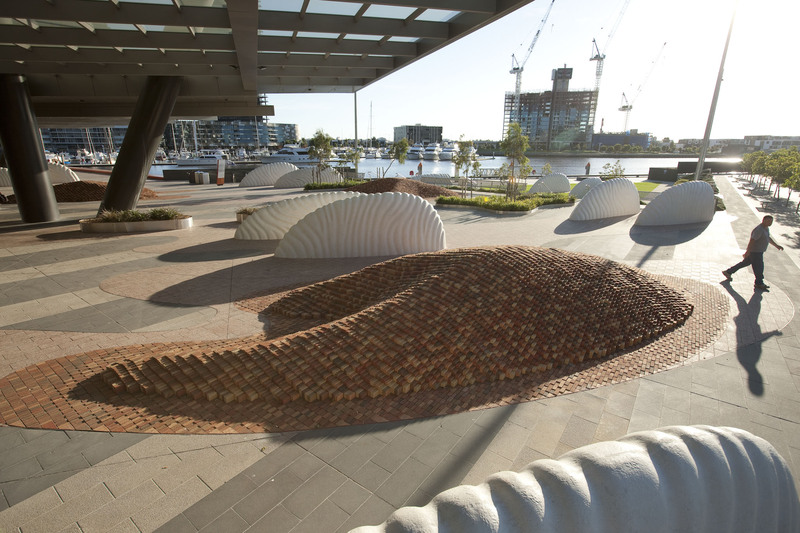 The intent is to create a sense of a spatial landscape that references some the ideas of the wind, sun and physical form of the original river bank of the Yarra (River). 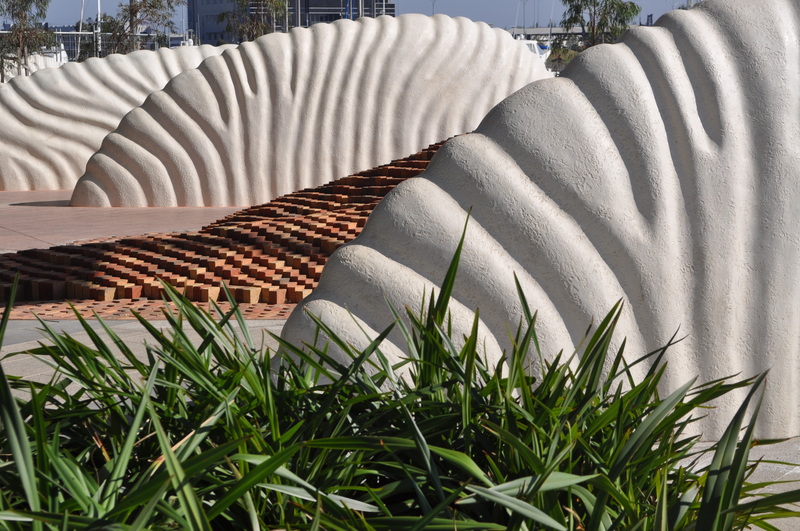 The site experience is one of many site lines and pathways through an immersive landscape of sculptures. Located: Victoria Harbour, Collins Street, Melbourne.